The practice of non-violence, better known as Ahimsa, is one of the five Yamas or guidelines to a more fulfilling yogic lifestyle. This principle is based on a mental, physical and emotional attitude of non-violence towards everything that surrounds us. To be compassionate and loving with ourselves, other humans, our mother nature and all living beings who live on it. As yogis, there are many things we can do to help the Earth. But often times we face the problem of a brutal industrial growth that makes it seem nearly impossible to start a business without affecting our lands. Thankfully, there are still kind people who think otherwise and try to apply Ahimsa in every aspect of their lives. Such is the case of Charles Vaught, a devoted of yoga in Vietnam who paved the way to the eco-friendly development of Phu Quoc Island. 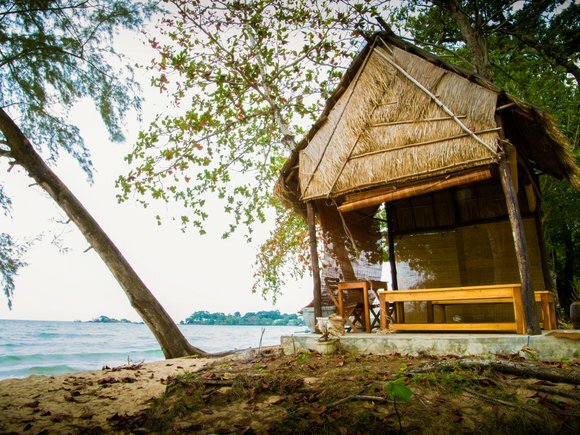 Bamboo Cottages is located on Phu Quoc Island off the southern coast of Vietnam. The island is soon to be plagued with mass tourism developments and international companies. Therefore, the family owned a 19 room resort decided to take an eco-approach in an effort not only to reduce our environmental footprint, but also with the hopes of inspiring some of the future developments to follow a different form of accommodation that is more sustainable. Our property is not connected to any centralized grid and we rely on a back-up generator when our batteries are not charged enough from the solar panels. The installation took place, completely by coincidence, on December 31st, 2014 (as we had to wait several months for the batteries to be shipped from the US to our island). Needless to say, it was a big party on New Year’s Eve that particular year! Even with all the calculations and research of how much electricity we would use on a daily and seasonal* basis, there were still some obstacles that we had to overcome after the initial installation. For example, pumping water from our wells consumes much more electric power than we imagined. But in reality, it completely makes sense. Everyone usually showers just after dusk and before dinner. And when that happens, all of our solar hot water tanks (which are independently operated and not connected to our main system) run empty and we must pump water to refill them for the morning. Doing this in the dark, only takes the electricity that we have stored in our batteries throughout the day and we found ourselves running out of electricity before daylight. A solution to this was to find a more energy efficient pump, make our staff (that we provide accommodation for) and guests aware of this issue, and we're moving to a rainwater collection system here very soon so we'll be pumping only 3 to 4 meters to the tanks instead of 24m. It required a series of small changes to make a big difference. Another example would be watering our garden. It became obvious that it would be much more efficient for us to set-up a hydroponic herb garden, rather than planting in the ground in order to save water and thus electricity as well. Low wattage light bulbs, energy efficient fans and appliances (we just have one refrigerator in our kitchen that we can only operate during high season*), cut-off hours during the day, etc. It was obvious that it needed to be a conscious decision not only for our guests to come here, but for our staff to work here as well. "Turn off the light!" Is something I hear my team say to one another, nearly everyday if one of them forgets when leaving a room. I believe that, without choice, this will be the new trend not only in tourism, but in the daily lives of all of us. I do not specifically mean solar power, but rather, a more conscious use of our resources and finding ways to reduce our consumption of natural ones. Something we should all start doing to save our planet. * seasonal: May - October is rainy season on the island and during this time we must really limit the amount of electric usage as we often don't have sun for days at a time. November - April is the dry season and we can provide enough electric to operate all of our services without too much worry. Thanks for reading this post. 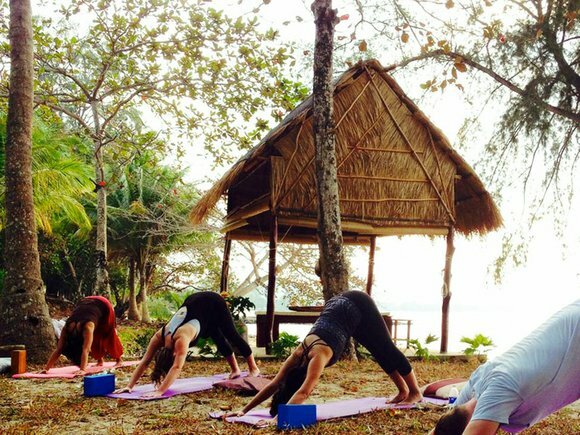 Looking for a yoga retreat to practice Ahimsa at an eco-friendly venue? Go to BookYogaRetreats.com and search among the most comprehensive list of yoga holidays and yoga teacher training courses.